Mildred Catherine Quinn-Sylvester decendant of Irish, English & Scottish immigrants was born in Dover, NH in 1906 the youngest of six children. She died in Biddeford, ME in 1968 at the young age of 61. She is buried in the Sylvester family plot in St Mary's Cemetery, Biddeford, ME. She was a Wife, Mother, Aunt, Sister, Grandmother & friend to all who knew her. It's been 40 plus years since she passed away and there is still so much that we never knew or will ever know about her early life. We know that her parents were John William Quinn (b. 1869 in ME - d. after 1920 maybe in MA?) and Katherine Myers-Quinn-Clarke (b. 1870 in Irleland - d. 1955 in Dover, NH). 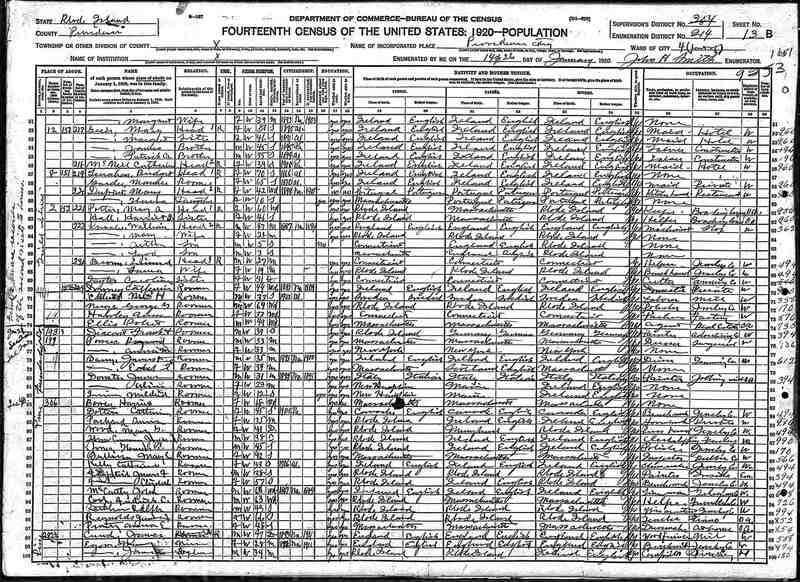 The 1900 census was the last time Mildred's family was listed together. This was before Mildred and her brother Thomas Leon Quinn were born. The original is available here. (family starts at line 68) The intrepretive information is available here. 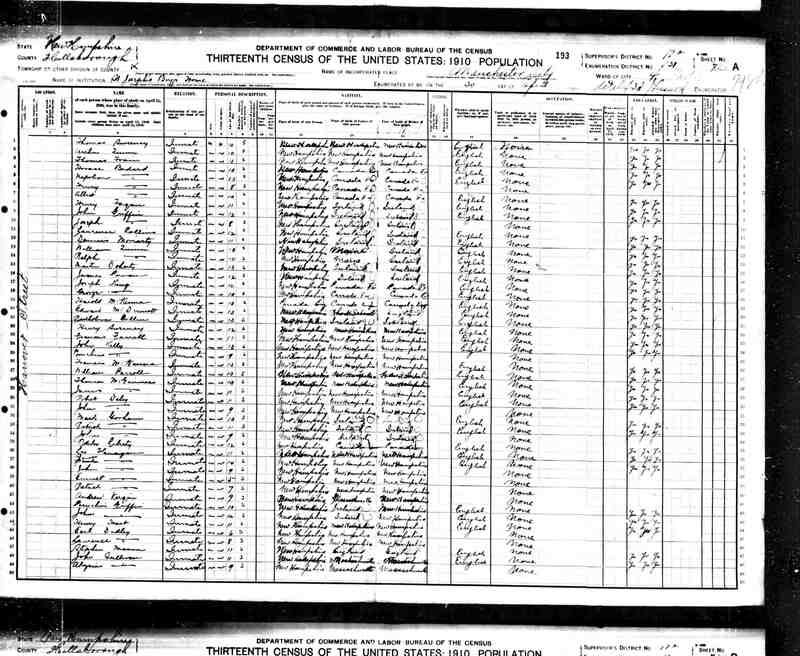 Also listed in this census is the Father of Catherine Myers Quinn-Clark Frank Myers (Mildred's Grandfather) along with Catherine's sister Susan McCauley and family. (lines 62-67) They were all neighbors. 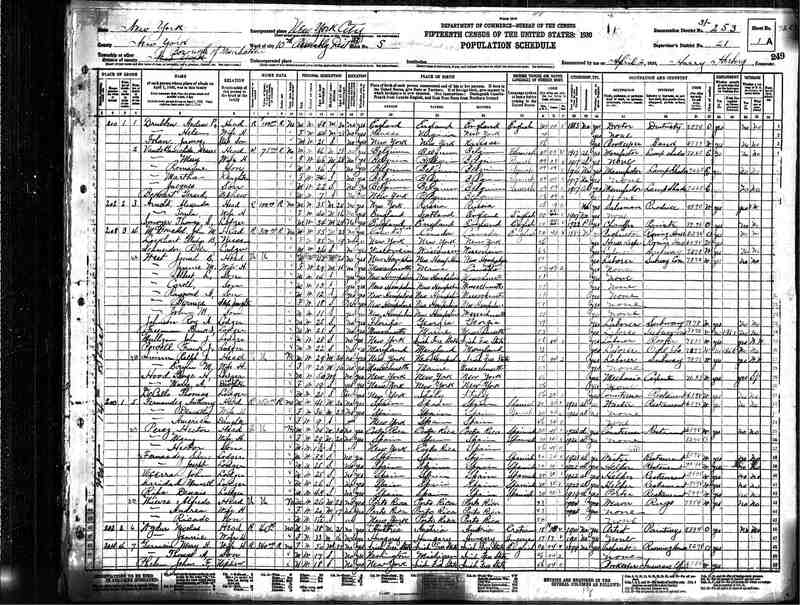 The first record that can be found of Mildred is when she is living in an orphanage in the 1910 census. 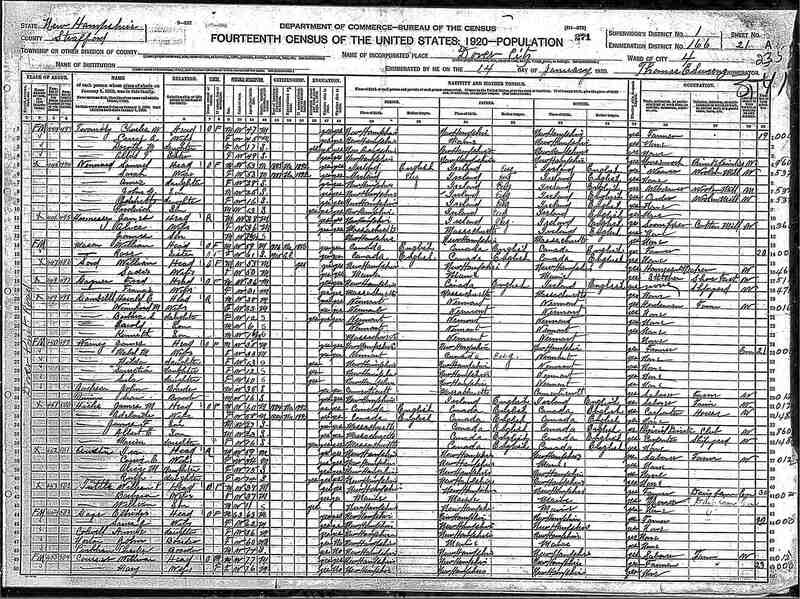 (This copy of the original census is hard to read; Mildred's information is on line 21.) An interpretive document showing Mildred along with other children who were at the orphanage with her is available here. She was only four years old and one of the youngest children there. Living at the Catholic Parochial Orphanage in Dover, NH must have been a difficult way for a young girl to live. Her parents had separated and/or divorced before 1910 and the entire family of six children were split up and sent in different directions. Mildred probably never knew what it was like to live in a normal family enviornment as a child. 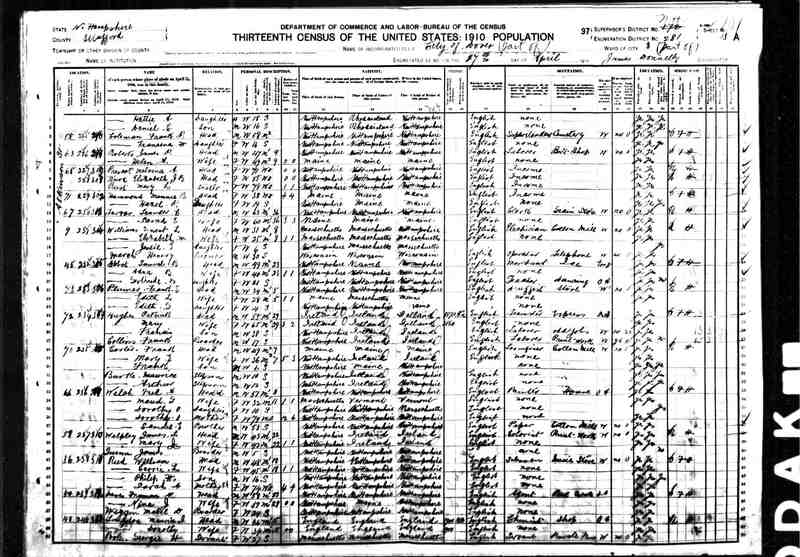 The next time Mildred can be found in the census is in the 1920 census. (line 82) (Easier to view here) At that time she was living with her older sister Eileen Quinn-Donato (b. circa 1896, Dover, NH - d. ? )and Eileen's husband James A Donato. (b. 1891, Rome, Italy - d.?) They were living together in Providence, RI in what appears to be a rooming house of some sort. Mildred is 12 years old. It is unknown how long that she lived in the orphanage but at least by 1920 she was being taken care of by someone in her immediate family. The obvious question is how did Mildred get from Dover, NH to Providence, RI? Since Mildred and Eileen were from Dover, there has to be a connection somehow for Eileen to meet her husband James Donato. That connection is verified by James's WWI draft registration card located here. 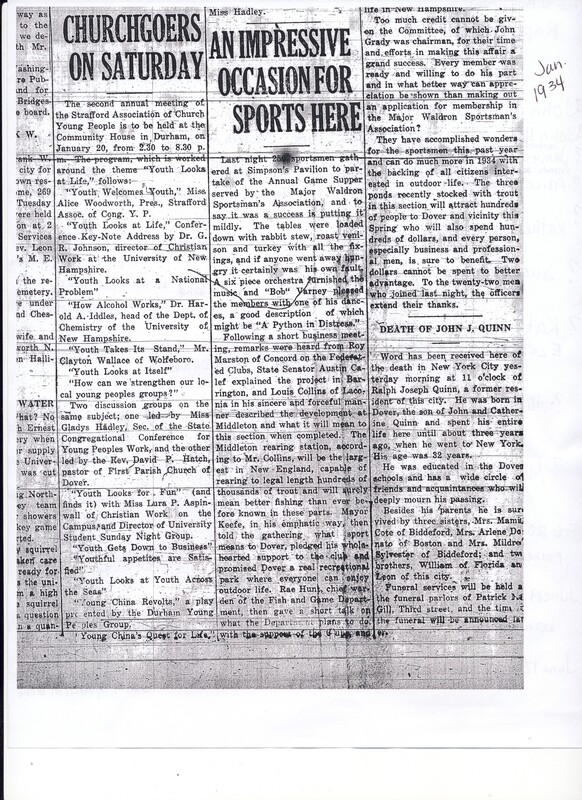 James registered for the draft on June 5, 1917. He was 25 years old at the time living in Dover, NH, employed as a painter and married to Eileen. It is likely that James & Eileen met in Dover before moving to Providence sometime between 1917 and 1920 most likely for employment. The 1920 census also shows that James was employed as a painter at that time. 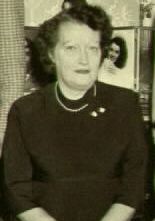 The life of Mildred beyond 1930 is well known by her children and grandchildren. 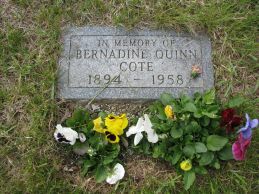 From here we will work our way back in the family history starting with "Auntie", Bernadine Mary Quinn-Cote who was born in 1894 in Dover, NH. 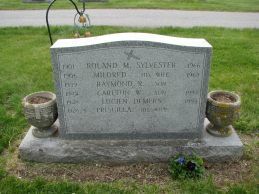 She died in 1958 in Biddeford, ME and is buried in St. Mary's Cemetery in a family plot with the Hurley family. "Auntie" married Thomas Cote (WWI Draft Card) on May 9, 1916. They were still married in 1930 but were divorced sometime before she died in 1958. Thomas was a ripe old age of 87 when he died in Sanford, ME in 1981. 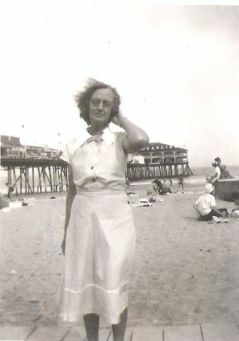 "Auntie" was the only immediate family relative of Mildred Quinn-Sylvester who lived close to her for most of her life. "Auntie" must have been very close to her Grandmother Mary A Hurley Quinn-Hurley. 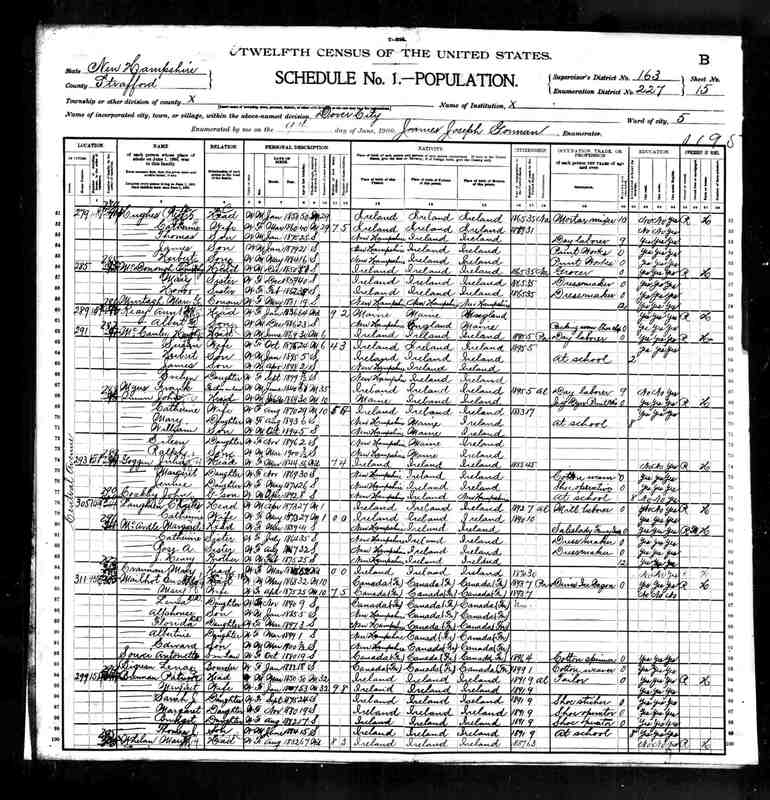 An interesting thing happens in the census in 1900 regarding "Auntie", she is listed twice! The first time she is listed as living with her parents in Dover, NH here or the easier to read here. 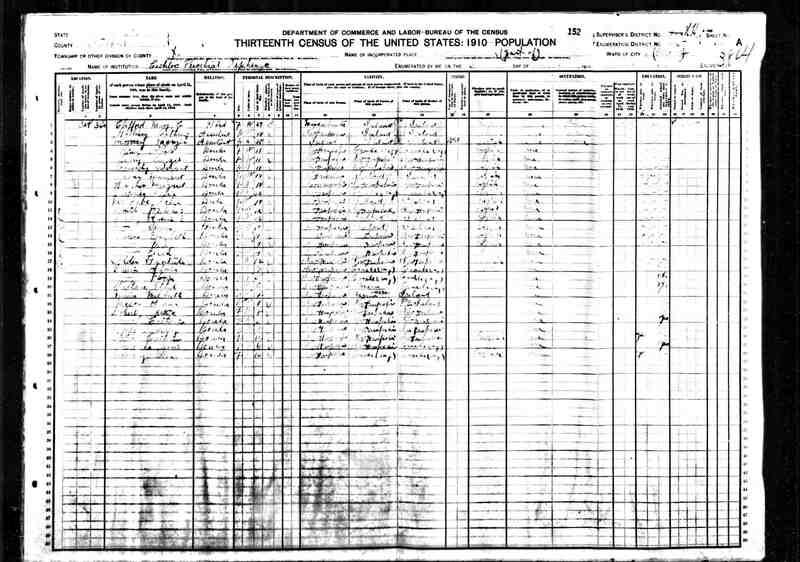 The other time "Auntie" is listed in the census of 1900 is located here or the easier to read here. With the Hurley's she is listed as a daughter but the reality is that she is the Grand daughter of Mary Ann Hurley Quinn-Hurley. The people living in the household with "Auntie" in 1900 in Biddeford, ME can be viewed here. The spellings of the Hurley names in the 1900 York County census records intrepretations are incorrect. In the 1910 ceusus "Auntie" cannot be found. Neither can Mary A Hurley Quinn-Hurley. 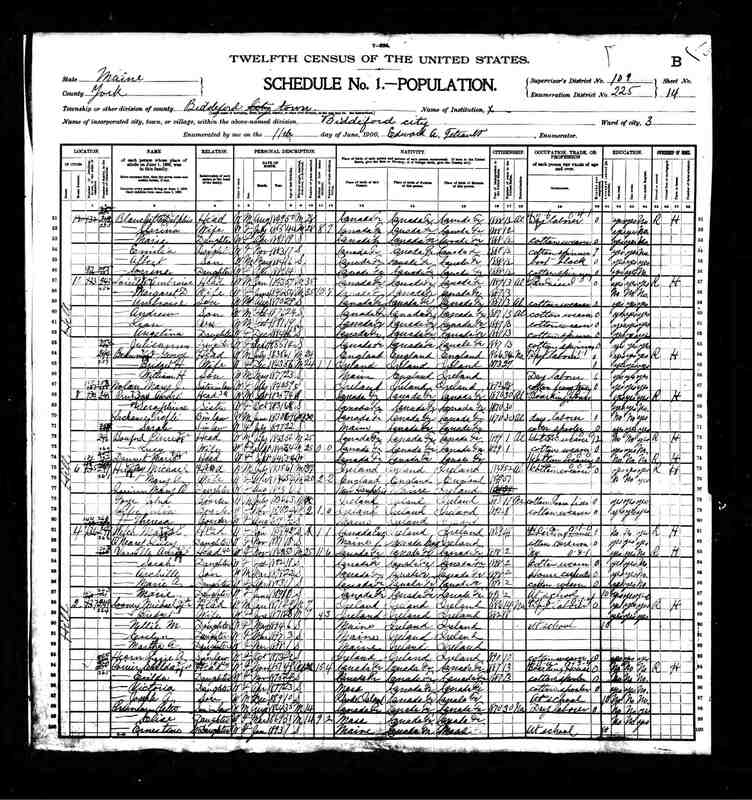 By 1920 "Auntie" had married and can be found in the census with her husband Thomas and her Grandmother Mary A Hurley Quinn-Hurley here or easier to read here. A intrepretive listing for the neighbors of "Auntie" during 1920 can be found here. 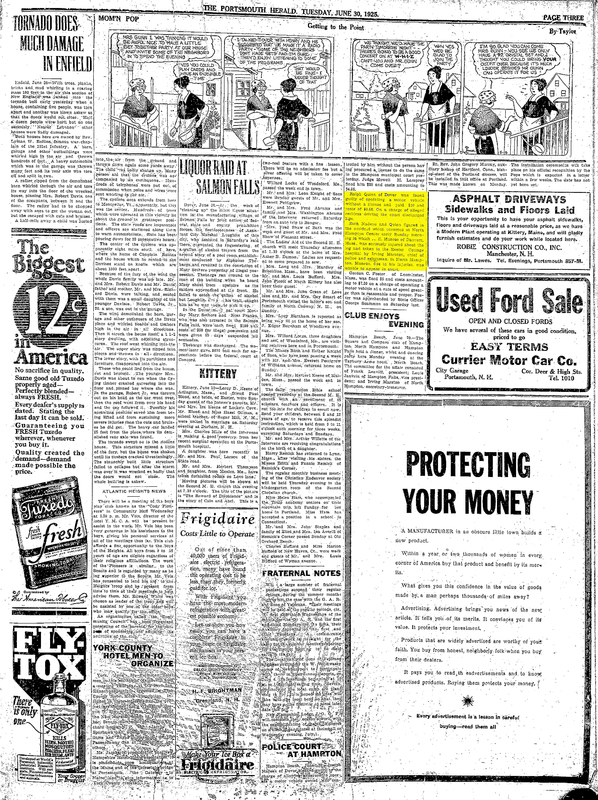 In 1930, "Auntie" is still living in Biddeford, ME along with her husband Thomas, her Grandmother Mary A Hurley Quinn-Hurley and adopted daughter May Cote. May was adopted from "Auntie's" brother Thomas Leon Quinn and an unknown Mother. 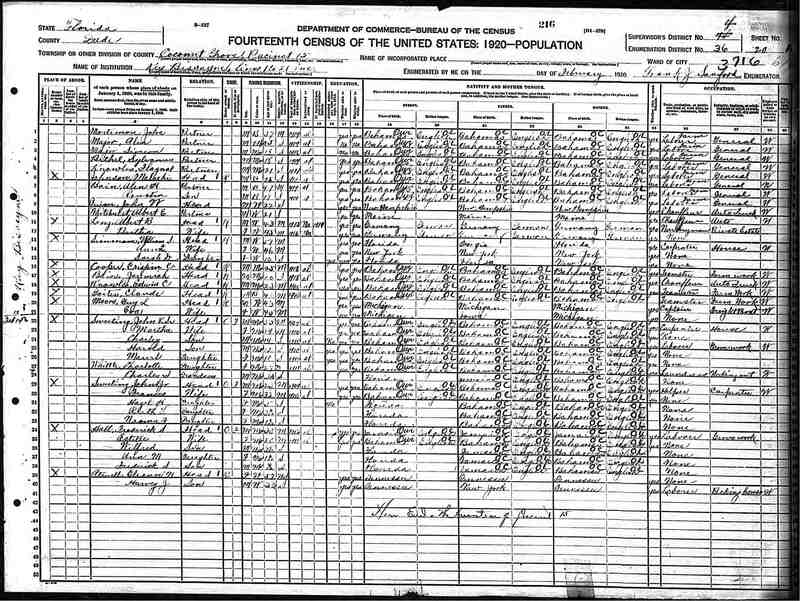 A copy of the original census for "Auntie" and household can be viewed here. An intrepretive version is available here. An intrepretive version of the neighbors can be found here. After the John William Quinn & Catherine Myers Quinn-Clarke family broke up sometime before 1910, as stated previously, the children were sent in all different directions. In 1910, the older boys John William Quinn (b. 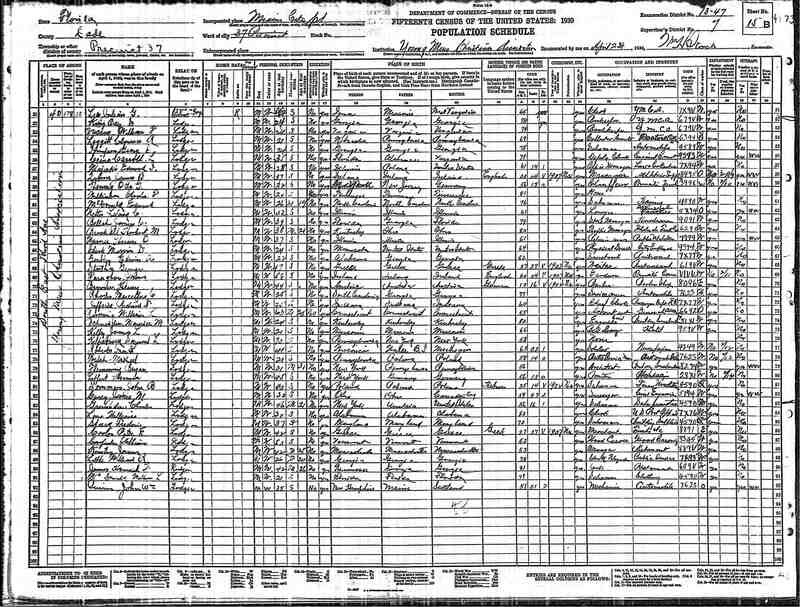 1896, Dover, NH - d. 1975, Dade City, FL) and Ralph Joseph Quinn (b. Dover, NH 1900 - d. 1934, New York, New York) can be found in the Saint Joseph's Boys Home in Manchester, NH via the census of that year located here. 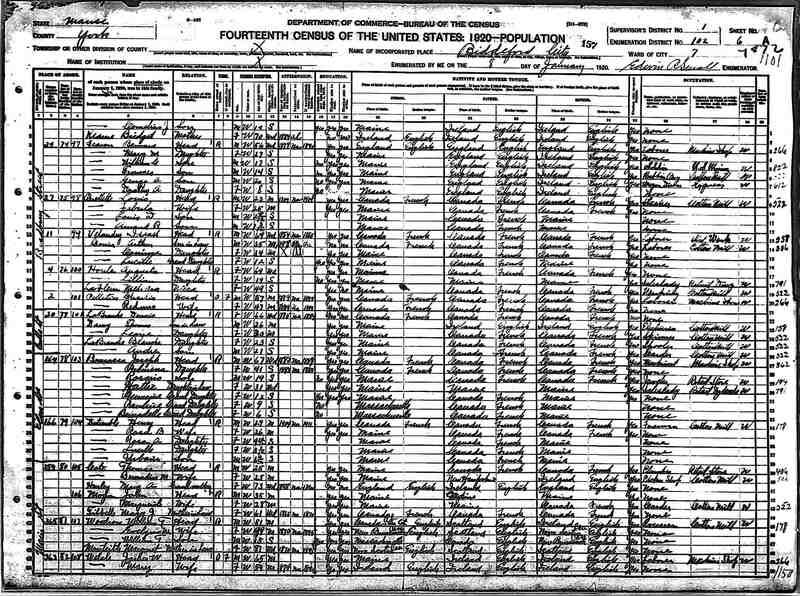 An intrepretive version of that 1910 census can be found here and a easier to read list of all the children who were at the home can be found here. 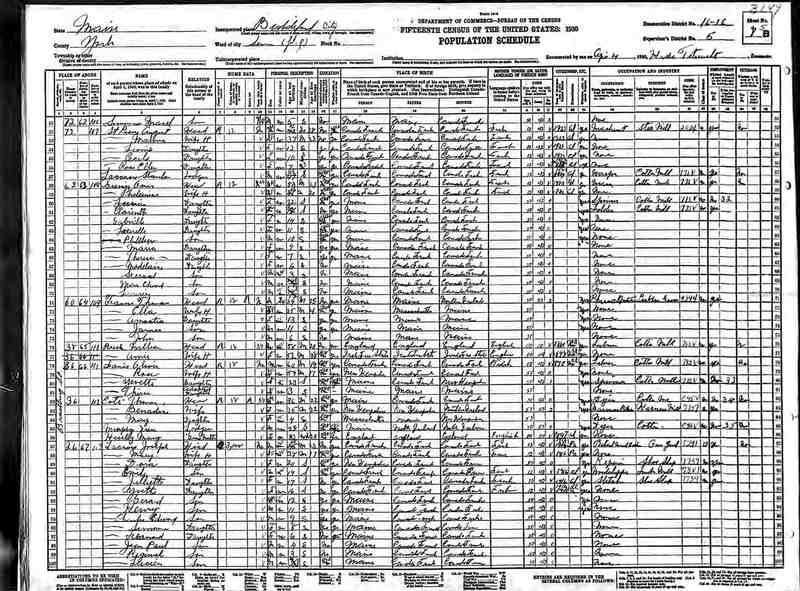 Mildred's older sisters Eileen and Bernadine (Auntie) cannot be found in the 1910 census. Where they went after the family broke up is unknown. Given other information that can be found, it is likely that Bernadine was living in Biddeford, ME with her Grandmother Mary A Hurley Quinn-Hurley in 1910. 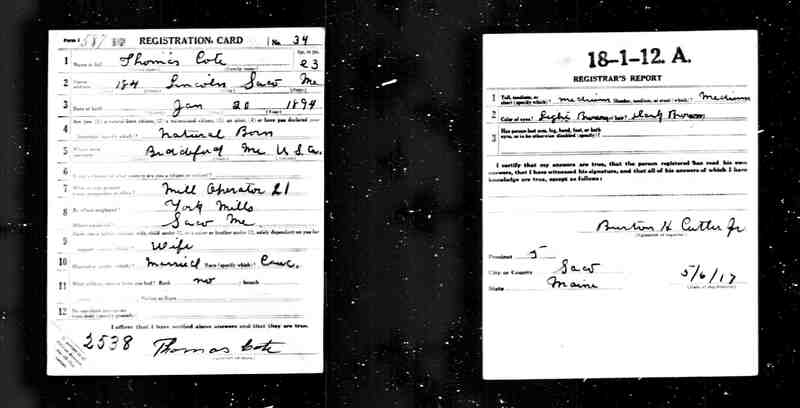 Since we know that Eileen was married to James A Donato in 1917 based on information from his draft card it is likely that Eileen was somewhere in the Dover, NH area during 1910. Thomas "Leon" Quinn (b. 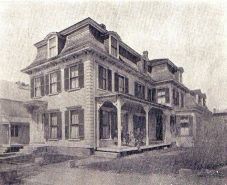 1903, Dover, NH - d. 1978, Dover, NH) was living in a foster home or something similar in 1910 and can be found here. (line 40) The intrepretive version is here. Even though the child's name is listed as James, it is really Leon as the census is notorious for being inaccurate and this was the only Quinn child of this age listed in the 1910 census in Dover, NH. By 1920 Leon had moved to a different foster home and can be found here. (line 31) The intrepretive version is located here. In 1917 Mildred's brother John "William" Quinn was living in Saco, ME as indicated by his WWI draft card. He was working as a mechanic at JF Lawrence Garage on Storer St. in Saco, ME. His address is listed as 184 Lincoln St. in Saco. This is a brick building that still stands today. It is within easy walking distance to Storer St. By 1920 he had moved to Dade County, FL and was working as a chauffeur. He can be found in the census here. The intrepretive version is here.There is one more brother who needs to be accounted for in 1920 and that is Ralph Joseph Quinn. By 1920, Ralph had been drafted or enlisted in the Army. 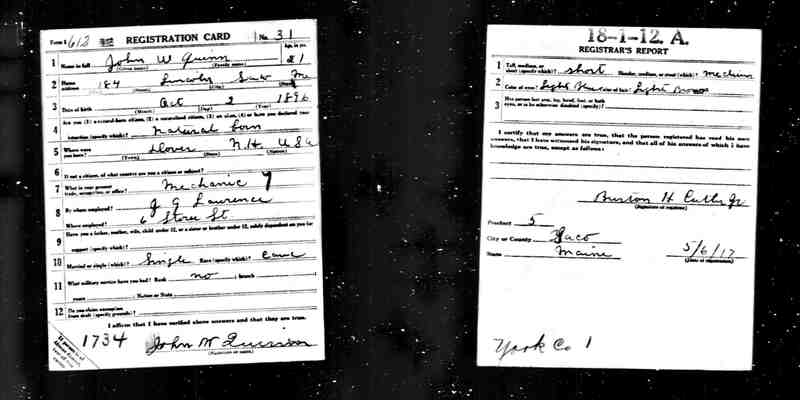 His draft registration card which was filled out in 1918 is available here. This document is interesting because it tells us where he was employed at the time he registered. He was a "Bell Hop" at the Hotel Thorndike in Dover, NH. Also listed on the card as nearest relative is the name John William Quinn. It is unknown if that is his older brother or his Father? It seems likely that it would be his older brother because they were living together in 1910 in the boys home in Manchester. This may never be known because in 1917 his older brother John was living in Saco, ME. 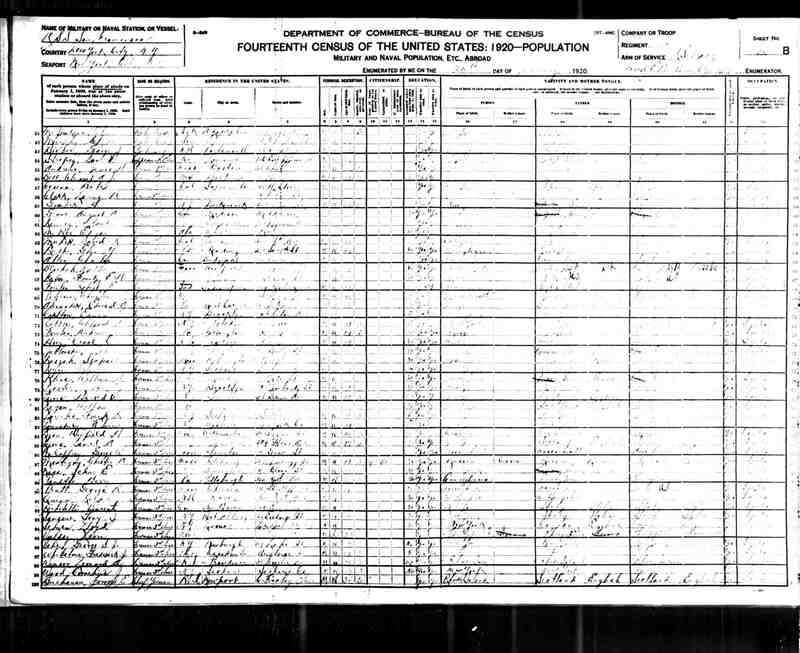 It appears that in 1920 Ralph was in the Armed Forces stationed somewhere around New York City, NY as that is where he is found in the census of that year. (He is on line #91, it is hard to read) The intrepretive version showing other soldiers in his outfit is here. In 1930 the Mildred Quinn family was widely scattered. 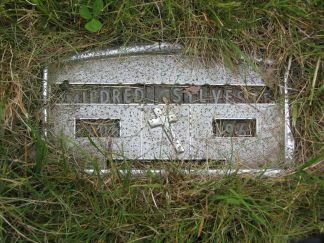 As stated previously, Mildred and her older sister "Auntie" were living in Biddeford, ME. Eileen, husband James and daughter Gloria Donato-Morin (b. 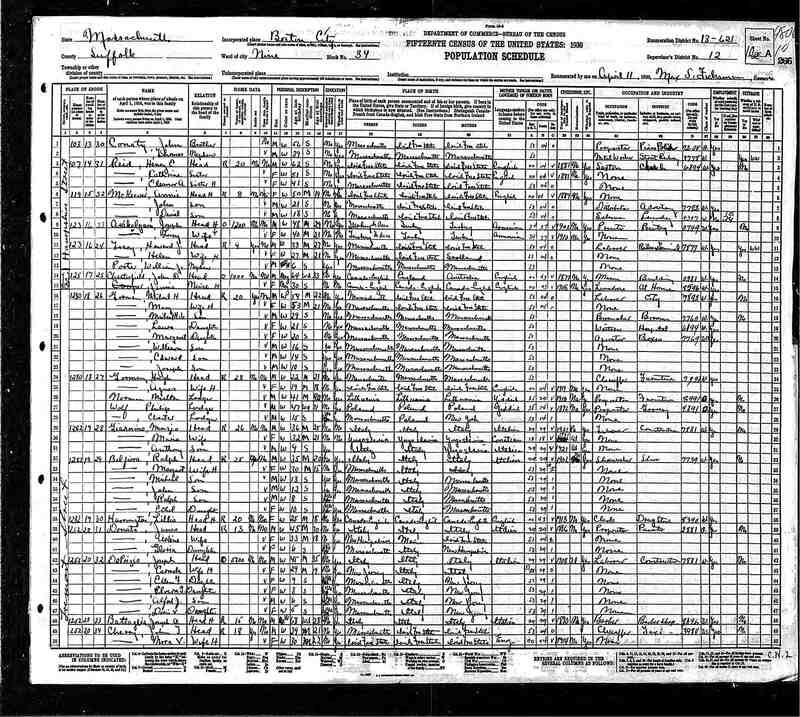 4/11/1924, Boston, MA - d. 5/17/2004 Marion, FL) were living in Boston, MA as indicated in the 1930 census. The intrepretive version can be viewed here. Neighbors for the Donato family at this time can be viewed here. John William Quinn was living in Miami, FL in 1930. At this time he is working as a mechanic. You can view him in the census here. (last name on the list) The intrepretive version of all the people who are living in the YMCA building with him are located here. According to the Social Security Death Records, it appears as though John William Quinn died in Dade City, FL in November of 1975. It is unknown if he ever married. After Ralph Quinn left the military he moved back to Dover, NH. This is verified by an article that appears in the Portsmouth Herald dated June 30, 1925 as he was cited for traffic violations. According to Ralph's obiturary he moved back to New York City three years prior to his death. 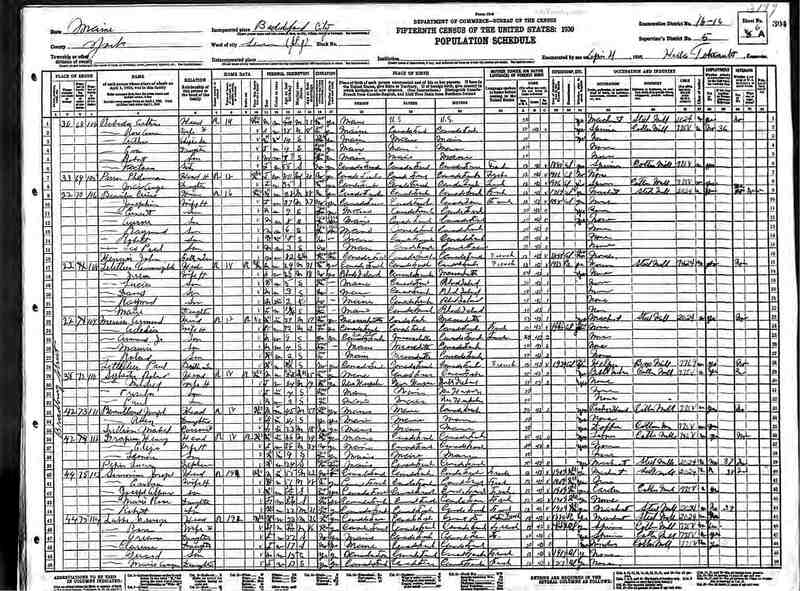 It appears as though Ralph might have been married while in New York City if this census contains the correct Ralph Quinn. His wife's name was Evelyn. She was originally from Massachusetts. The intrepretive version of this census can be found here. An intrepretive list of their neighbors can be found here. Ralph's marriage is somewhat speculative because there is no widow listed in his obiturary. It is possible that he was divorced but still living in New York when he passed away?